Did you know that smartphone users spend more than 80% of their time using apps? And did you know that this fact has been exploited by thousands of small and big business in markedly improving their sales? Mobile apps have proved to be game-changing in the Field of business marketing! Apps have been shown to make great tools for boosting sales of any business at an affordable price. Customers value an app’s ability to quickly get their tasks done in just a few clicks. In fact, a well designed mobile app can add a great deal in boosting your brand’s awareness and building a good name in much lesser time. With your mind set on creating a mobile app for your business, the next question to address is “who” to get it made from! There are thousands of mobile app developing companies ready to cater to you. So, who do you choose? The key lies in Finding the right Ait. This should be your First step. Check the company’s reputation and experience in the market. First-hand information from other companies that have used the app developer’s services previously can help you a great deal in Finding out whether the app developer can suit you or not. Also, Find out the number of years they’ve been at this business and their clientele to get a better idea of whether this company will work out well for you. Don’t forget to look into previous customers’ reviews and ratings too! Sometimes, the number of years a company has spent in the business may not be a true measure of their talent and capability. There could be relatively newer app development companies that have actually developed great apps and help boost businesses in high numbers! So, ask for the company’s app portfolio. Professional app developers with good portfolios would never hesitate to share it with you. Look for popular apps or apps that have been designed for similar businesses and see how resourceful they are. The portfolio can give you a good idea of whether a particular company can design you your million-dollar app! This is one crucial question most businesses totally miss out on! If the company’s developed a thousand apps and not a single one is published in the App store, there’s a big problem there! A published app in Android’s play store or Apple store gives great credibility to the app. It also speaks volumes about the app’s success. So, do look into how many of the apps developed by the company are published and ask for their links. Once you have ensured the company’s quality of work and credibility, another point that is vital is the creativity of the app development team. There are millions of apps in play store or app store; how will yours stand out? Look for app developers who have a unique train of thought that can manifest into an innovative, quality app that can attract customers to you. Discuss freely what their ideas about the app’s look and feel are going to be. Go for a team that has good communication skills because it is imperative that they understand precisely what your requirements are; you don’t want to spend months over corrections and still don’t get what you want! Now comes the most important part – the costs involved! Many affordable app development companies are extremely efficient and come up with the app real fast. This helps you get into the market quickly and start reaping the rewards. You may be tempted to team up with lower budget companies but in the long run, if the app doesn’t turn out right, you may end up shelling out much more than you thought in the beginning. It is not only a waste of a huge amount of money but also a sheer waste of time. That doesn’t mean you cannot negotiate and set on a price that can work well for you and the company. App making is an expensive process but the fruits are highly rewarding! Mobile apps are without doubt very resourceful tools in pushing your business to greater heights. Your competitors are likely already out in the mobile business world. 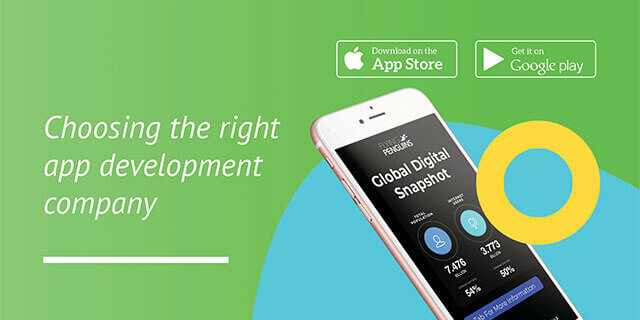 Choose an app development company wisely and get your business going!